Tintin Heart: Some Great news for Scrappers! Cards Galore Scrapbook Challenge Blog! Some Great news for Scrappers! 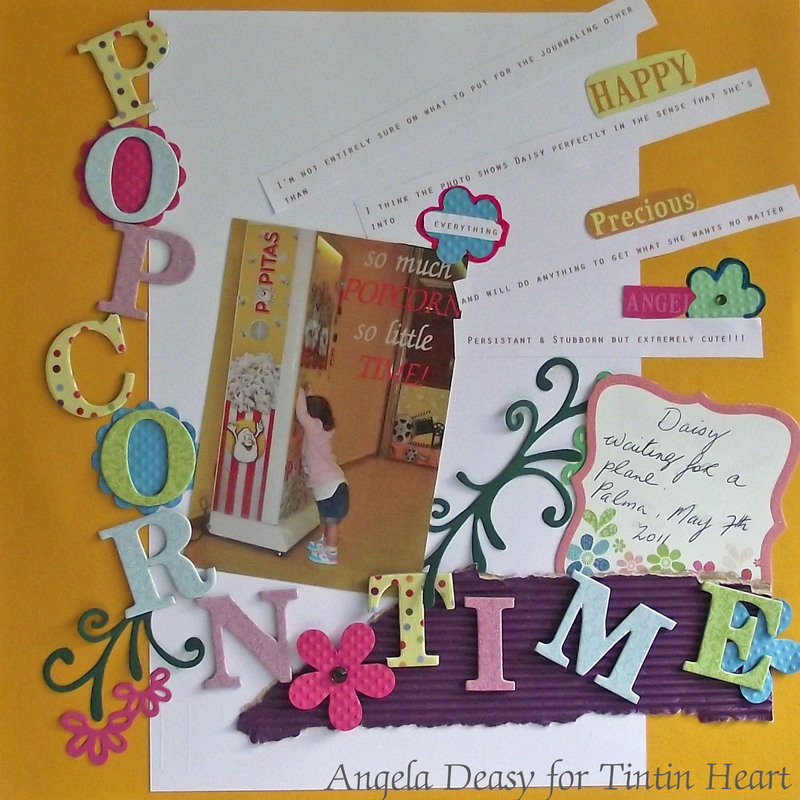 Cards Galore Scrapbook Challenge Blog! Today I am posting about my new Design Team spot with the Cards Galore Scrapbook Challenge Blog which goes live today with the launch of our first blog challenge ' Anything Goes', which for this first challenge is using paper scrapbooking only. 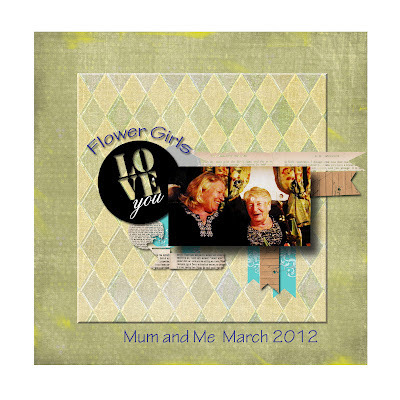 Our DT team is made up a great group of talented scrapbookers, who use a range of scrapbooking techniques. Each challenge will start on the 15th of each month and run until the 14th of the following month, with the winner announced on the 18th. So you have lots of time the create and submit your entries. The reward for the winner is a prestigious Guest Blogger spot and a badge to be proudly displayed on the winner's blog! 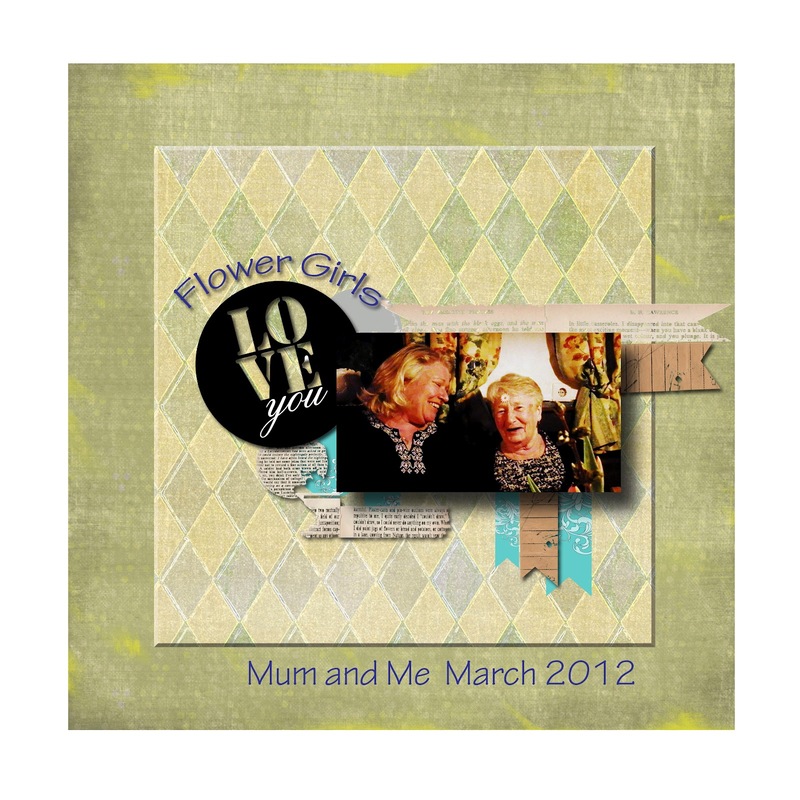 So get your scrapbooking hat on and join in. I've called this page 'Popcorn Time'. This little family member seems to be overwhelmed by the sheer amount of popcorn and I could imagine the sigh and hear the thought 'So much popcron, so little time' going through her head. For me this photo was ideal for a scrapbook layout. This photo taken of me and Mum at a party were the table decorations were just begging to be played with shows how much fun we were having. A great memory. I'm really excited about this new Scrapbooking Challenge blog and can't wait to see what all you wonderful scrapbookers will create for this and future challenges. or may check out the Cards Galore Challenge Blog and take part in the current challenge 'white on white' with a prize for the winner. Have a great day and thanks for stopping by and reading my blog. Your time and comments are appreciated.